Produces great colors, I switched to another brand and lost color, back to this and colors pop again. Only dosing a capful on weekly water changes, 90 gallon acro tank and my acros are amazing in color. Greens, Blues, Reds, Yellows and Purples. 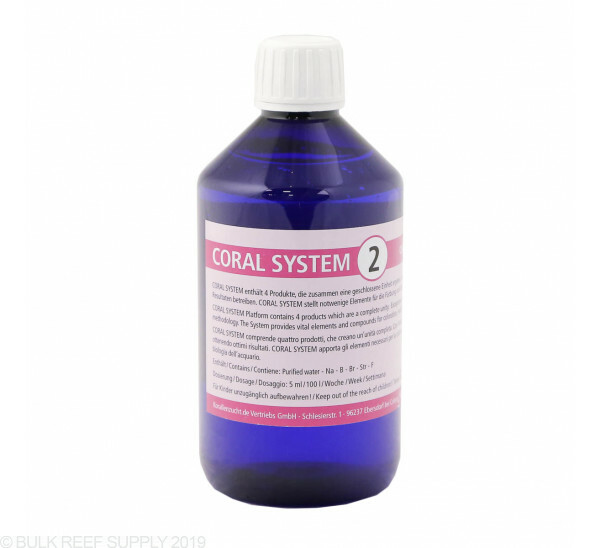 Like always the basics are the key, stable Alk, Ca, Mg and low phosphates (but not too low) and with healthy corals this additive pops the colors. This system seems to do a good job of bringing out the colors of my corals :) I'm gonna keep dosing! I have a 150 Mixed Reef and I also wanted to try the KORALLEN-ZUCHT for my Acros and Monti's, Acans, and my Frogspawn's. WOW. This is my 3rd treatment with all 4 components and what a difference on my 2nd go around. What I love about these 4 components is you only have to dose 1 time a week. HIGHLY recommended for SPS , LPS or even soft coral.. I use thee Korallen-Zuckht to keep the coral beautiful on my live rock and it works great! bought this with the 25% off, my corals always looked just ok not eye popping, already in the 3 week of use my corals all look brighter and have that eye popping color look! will keep using it works as said. In the last 3 weeks I've used this I'm completely sold on KZ. Colors are getting better by the day. I already ordered another set :). 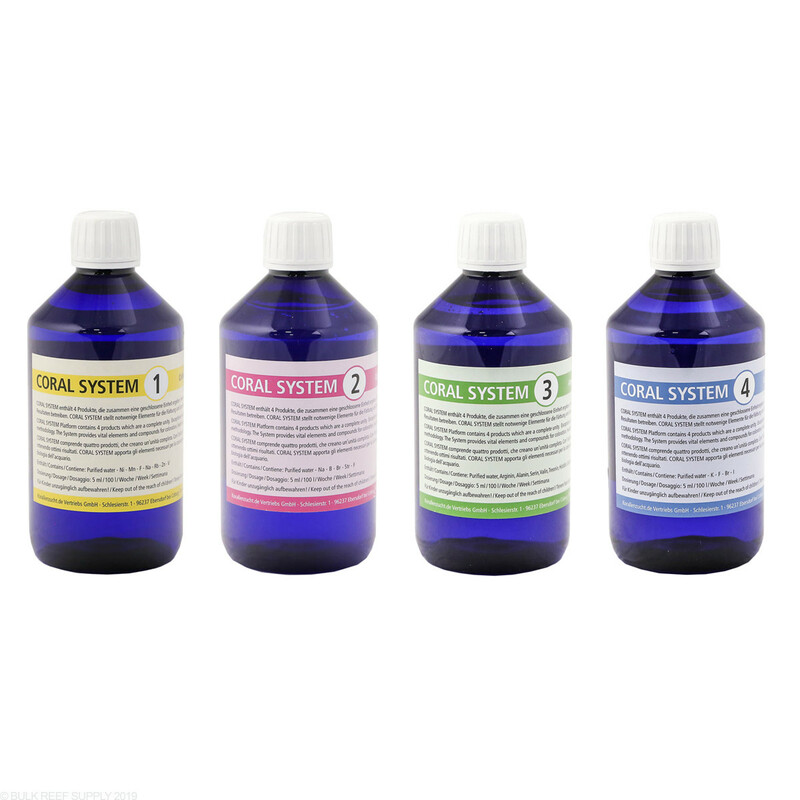 I got all four bottles for my 150 total water volume - lasts 8 weeks. I was looking to get a little more color for my red, pink, purple and blue sps pieces. My SSC, red planet and tort started showing improvements after about the 4 week of dosing. Also my green stag went into overdrive in terms of growth. I'm very happy with the product and will continue to use it. I am on my third week and haven't noticed a difference at all. After just one dose there was a very noticeable result in my greens, yellows, reds, and blues. Polyp extension seems to be better too. 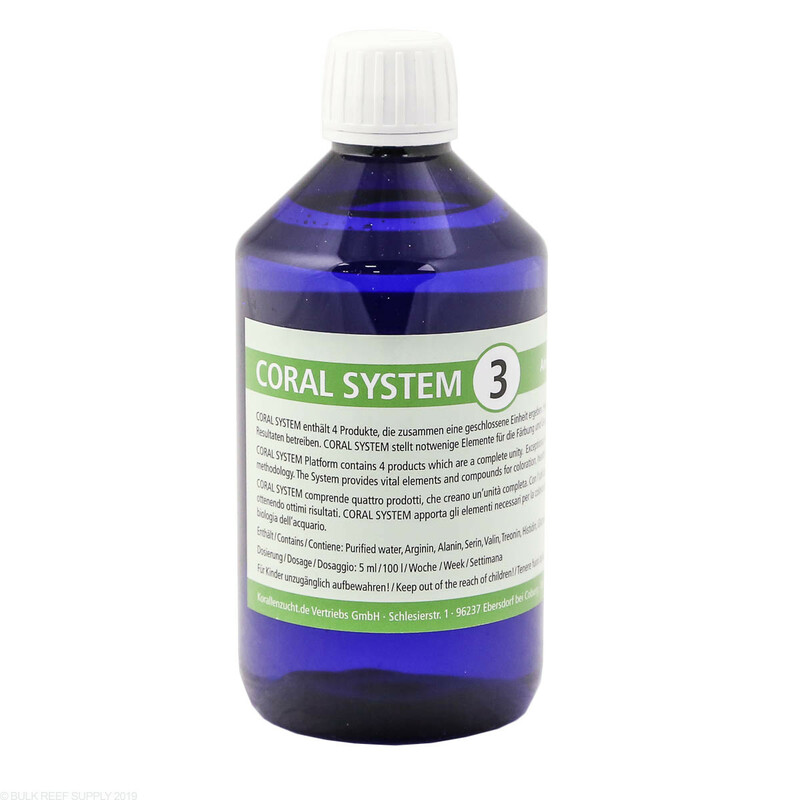 Started using this system 2 weeks ago and have already noticed an improvement in all of my corals. My stylos are showing better color and some growth while my goniporas, zoas, and other corals are showing improved color and health. Looking forward to seeing what happens over time. Do any of the 4 need to be refrigerated? 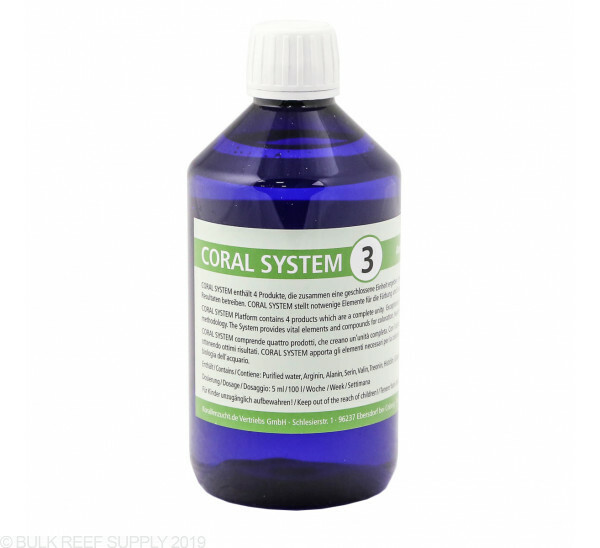 The Coral System does not need to be refrigerated. Can this system be used with the NanoPower Package, or is that redundant? 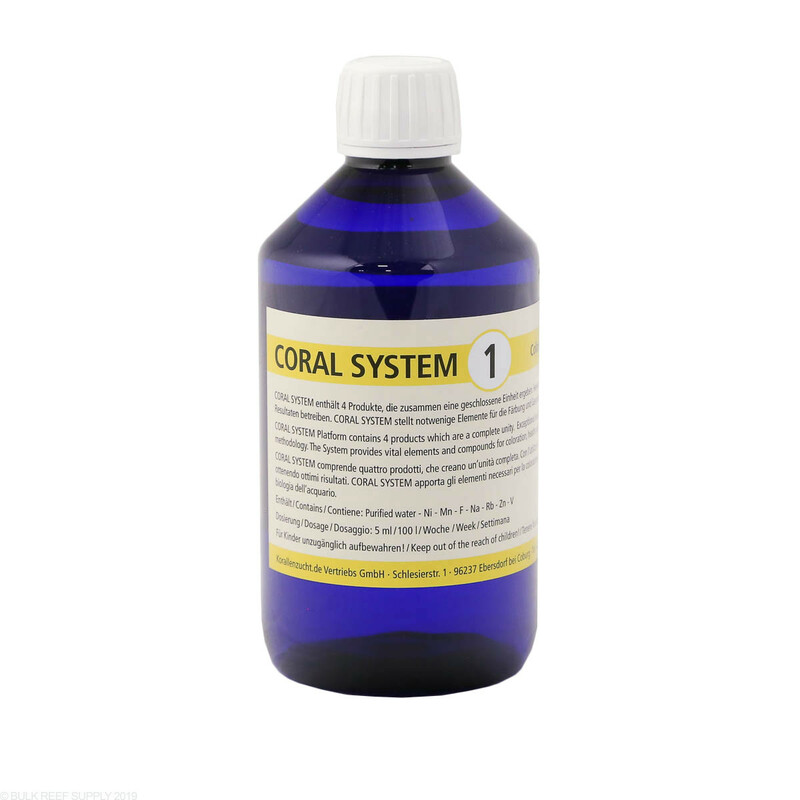 You can use the Nano Power Package with the Coral System. The power package is designed as a nutrient source for corals, where the Coral System is focused on trace elements. Can I use this kit with Zeovit System? This certainly can be used in conjunction with the Zeovit program. Feel free to let us know if you have any further questions! Is this system primarily for SPS, LPS or both? 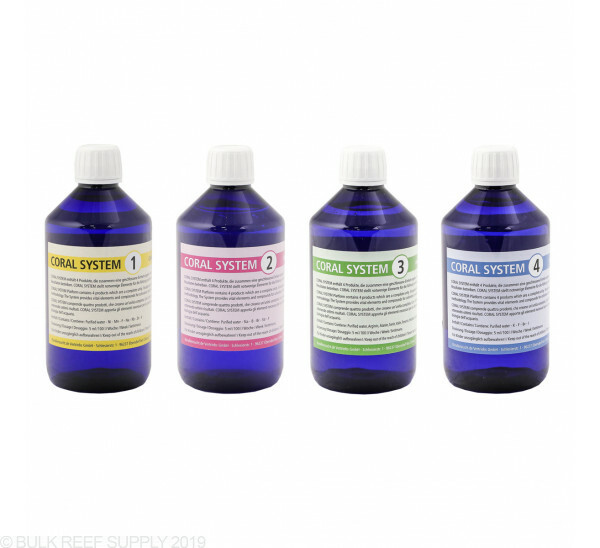 Primarily for SPS but certainly can be used on Mixed reef systems no problem! Should I turn the skimmer off after dosing the components? If so for how long? If you are dosing the additives in the sump right next to the skimmer it may be worth turning the skimmer of for 30 min or so, however if you are dosing in the display tank, or in the sump after the skimmer, then it should not be necessary to turn the skimmer off. Is it best to dose the in the morning or evening? Should these be dosed all on the Same day or spit up onto different days? We would suggest giving each component a few hours to mix fully before adding the next. Now if you wait a couple hours, or days, the difference in results should be very minimal. As each tank uses elemnts difrently , in my 300 i only have a couple corals at this time, how do i know if i'm not overdosing. 5ml per 25 gals a week seems like a very broad statement. These are the specifications given to us by the manufacturer. I would recommend testing you water parameters constantly to avoid overdosing. Have a great day.